A special sitting of the Supreme Court was held on Tuesday, March 11, in the courtroom of Chief Justice Kenneth Benjamin, for the swearing-in ceremony of a new Supreme Court Justice, Shona Griffith, who will preside over the civil division of the court. 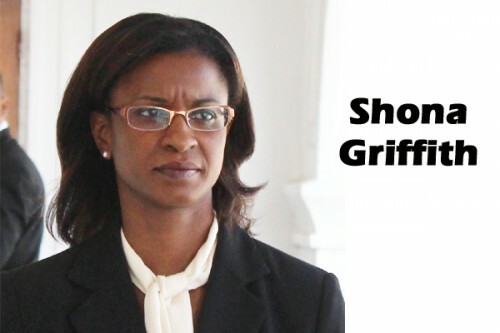 Madam Justice Griffith, who is a Guyanese national, has been in Belize a little over two years and was serving the Judiciary as a Senior Magistrate in the Belmopan Magistrate’s Court. Justice Griffith has been practicing law for over fifteen years, and holds a Master’s degree in law from the University of London. She is a graduate of the Hugh Wooding Law School in Trinidad. The new Supreme Court Justice joins other Guyanese nationals who hold positions in the Belize Judiciary, including Chief Justice Kenneth Benjamin, Justice of Appeal Minnet Hafiz-Bertram, and her fellow Supreme Court judges, Dennis Hannomansingh, and Courtney Ashton Abel.